From the first vague App idea design to the finished app, it is often a long and bumpy road. In this way, the Apps agency would like to supports you. This also applies, if you are interested, to your mobile application using C++ to develop. Our team comprises many C++ programmers with many years of know-how. The C++ programming language by the ISO 1979 has been standardized and introduced by Bjarne Stroustrup at AT&T. C++ is an extension of the C programming language to understand and allows for the efficient and machine-specific development and other programming on a high abstraction level. For this reason, it’s ideal for both the C++ system programming, as well as for application development. In both of these areas, C++ is one of the programming languages that are the most widespread. 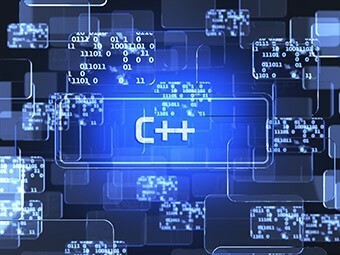 C++ also now enjoys a growing popularity in App development. Regardless of whether it was about Apps for Windows, Android or iOS, it is becoming more and more prevalent in particularly power-hungry applications in part or completely developed in C++. If you would like an app and you want to program in C++ in the Apps agency, you are exactly at the right address. Our C++ programmers will be happy to create your idea to your specifications and assist in the ascertainment of your idea of the design, from the design to the actual implementation, so you will soon see the first test runs of your own app. Are you curious? Then just contact one of our C++ programmers and let them advise how the C++ programming language can improve the functionality of your app.